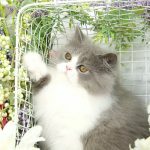 Dedicated Doll Face Persian Cat Breeders - Traditional PersiansPre-Loved Persian Kittens For Sale – (660) 292-2222 – (660)- 292-1126 – Shipping Available!! Is Doll Face Persians Going Extinct? Throughout our three decades of breeding our beloved Doll Face Persian kittens, we have picked up many alarming trends over the years. 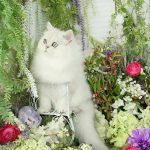 Due to the ever-increasing popularity of the peke-face show quality Persians and Himalayans, doll face breeders have been few and far between. Finding quality doll face kittens has been an even greater challenge for customers looking to add a Persian kitten to their heart and home. Minus the health problems associated with peke-faced cats. Raising and breeding Persians presents many challenges and only those who truly love the breed continue. We have seen numerous “newbies” come and go. Usually, they have a 5-7 year itch. Or start up their program with the mentality that it is “easy” work or a way to make a quick dollar. Soon they realize the ever-growing amount of overhead; food, water, shelter, litter, bowls, beds, bedding, toys, grooming tools, shampoo, pet, dryers, vitamins, towers, and an endless stream of vet bills. Not to mention matters of the heart when losing beloved cats and kittens. Heartache takes a tremendous toll on any pet breeder, cat or otherwise. Over time hobby breeders are forced to shut down either because of cost or they are simply no longer able to keep up with the amount of work. Eventually, they sell off their remaining cats and kittens. At most, they may keep one or two favorites as a pet. The longest we have seen a breeder stay in business is 10 years. Even more startling is watching unethical breeders use questionable or misleading photos. One may even question if those photos belong to the actual breeder. Customers will typically run across this epidemic on scam sites or ads all across the Internet. Recently it was brought to our attention that photos are floating around on the Internet featuring “comparison” photos of a “teacup” kitten next to a “standard” size kitten. When in fact the photo is clearly of two different breeds of feline entirely! There are also individuals who sell Persian and Himalayan kittens that have been born and raised in barn or trailers, lacking proper care from the start. With false promises and misleading photos and other information swarming the Internet, shortcuts such as these speak volumes about the quality of their kittens. As well as their terrible business practices, making it difficult for potential buyers. Customers want an honest breeder who is highly knowledgeable and loves the Persian and Himalayan breed. As the amount of dedication and quality of care will most certainly shine through in each kittens’ eyes. Each day we take even more pride in our business and are increasingly more thankful to our dedicated customers. They have helped us continue along this wonderful journey. From our hearts to yours!